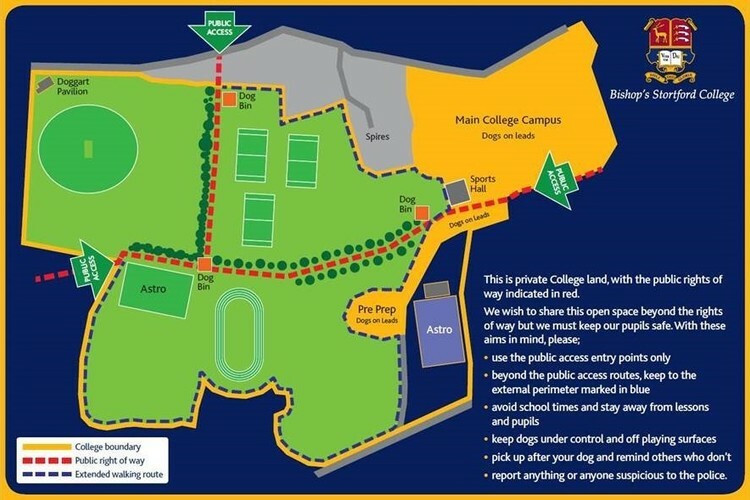 New signs displaying access arrangements for the top fields and dog control on the College campus will be installed during the Easter break. Please help by taking notice of the changes as detailed on the new signs. Simply put, please keep your dogs on a lead on the main College campus and on the footpath between the Pre-Prep and the main site. If you are walking or running on the top fields, please keep your dogs under control, keep away from sports lessons and keep to the Public Rights of Way, or to the outermost perimeter. Please stay out of the Doggart Pavilion first games area unless you are spectating a match. At all times pick up after your dog regardless of where it does its business and remind others that don’t.